Ethan and Talia's World: Wanna Cook! 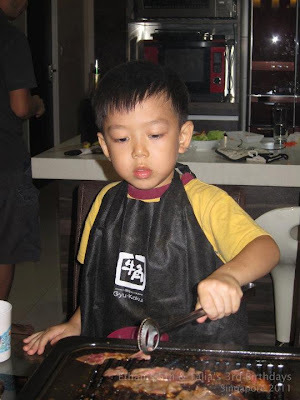 Here is my Junior (Master) chef! 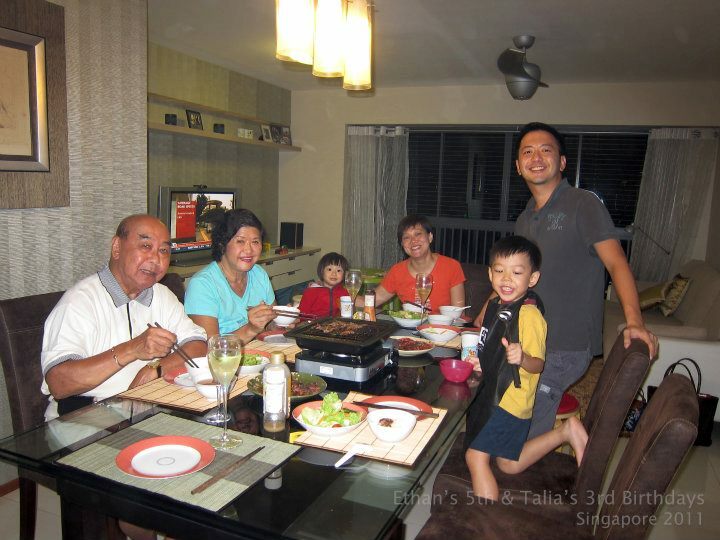 He's been wanting to cook on our BBQ for those he loves and finally got a chance when we had Yeh Yeh, Ah Mah & Gu Ma over to celebrate their birthdays. Quite funny to see how he has the same intense look that Ivan has when he is cooking! You can see from the satisfied faces of his 'customers' that he did a pretty good job!